CFI’s financial analyst development program, known as the Financial Modeling and Valuation Analyst (FMVA)FMVA™ CertificationThe Financial Modeling & Valueation Analyst (FMVA)™ accreditation is a global standard for financial analysts that covers finance, accounting, financial modeling, valuation, budgeting, forecasting, presentations, and strategy. designation, was designed to transform anyone into a highly skilled analyst with the practical skills employers are looking for. 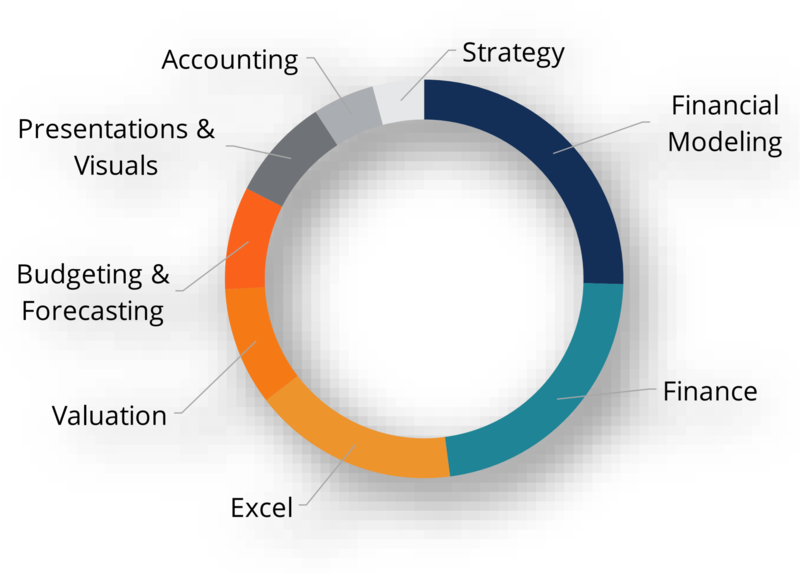 The most common career paths taken by individuals who complete the development program are financial planning and analysis (FP&A)FP&AFinancial Planning and Analysis (FP&A) is an important function at a corporation. FP&A professionals support executive decision making for the CEO, CFO and Board of Directors with planning, analysis, and modeling. Learn what the job of an FP&A analyst, manager, or director entails - salary, requirements, education, skills, investment banking, private equity, corporate developmentCorporate DevelopmentCorporate development is the group at a corporation responsible for strategic decisions to grow and restructure its business, establish strategic partnerships, engage in mergers & acquisitions (M&A), and/or achieve organizational excellence. Corp Dev also pursues opportunities that leverage the value of the company’s business platform., and other areas of finance.